FORD SUPERGIRL PRO ROUND OF 12 RESULTS: Heat 1: Malia Manuel (HAW) 15.03, Pauline Ado (FRA) 13.43, Rebecca Woods (AUS) 5.33 Heat 2: Justine Dupont (FRA) 11.26, Silvana Lima (BRA) 8.47, Anali Gomez (PER) 7.70 Heat 3: Alessa Quizon (HAW) 14.50, Paige Hareb (NZL) 13.57, Bethany Hamilton (HAW) 9.00 Heat 4: Nikki Van Dijk (AUS) 12.60, Coco Ho (HAW) 10.33, Phillipa Anderson (AUS) 8.50“This has been an amazing contest and we’re thrilled to have Ford on board as our title sponsor,” said Rick Bratman, CEO of ASA Entertainment, the event’s management company and one of the leading producers of action sports event and television programming in the U.S. “The level of talent this year was incredible. 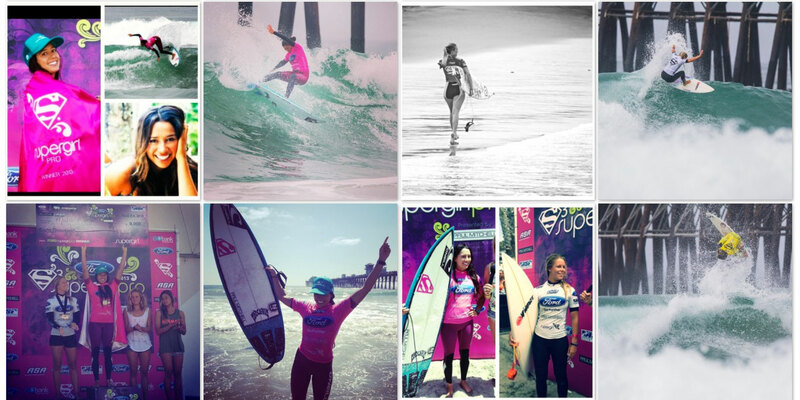 We congratulate Malia on her win – she’s been so close to winning for three years, so she definitely earned the Supergirl title today.” The Ford Supergirl Pro presented by Paul Mitchell is the only ASP 6-Star female event in North America. 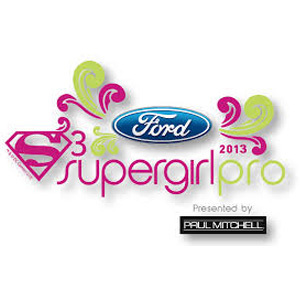 It’s the second event of the 2013 Supergirl Jam Series, the action sports industry’s largest all-female competition and lifestyle series, featuring more than 150 female pros in surfing, skateboarding and snowboarding. 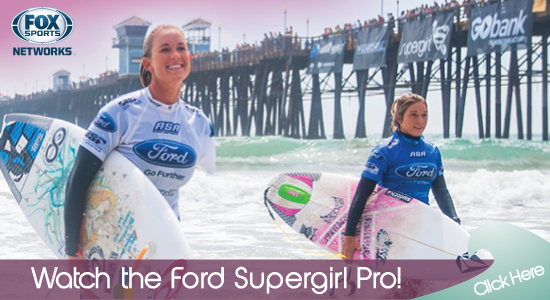 The event will be broadcast on Fox Sports Net (FSN) Friday, Nov. 1 at 5 p.m. and 11 p.m.
For more detailed information on the Ford Supergirl Pro, please visit www.SupergirlJam.com or www.asaentertainment.com.